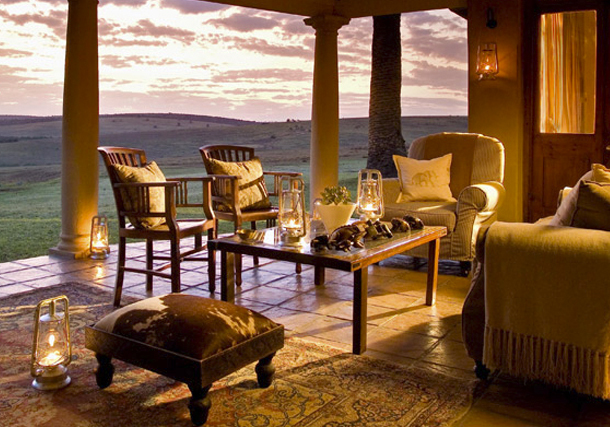 Enjoy the thrill of quietly watching a herd of elephants stroll by, while sipping tea on the veranda of a stately colonial manor house. During the colonial era, the vast expanses of land, wild animals and fascinating encounters with rural tribes, led to the legendary tales of Africa that have shaped history and drawn more and more visitors to this magical and mystical place. Discover its captivating rhythm, ever changing landscape, majestic animals and cultural diversity. 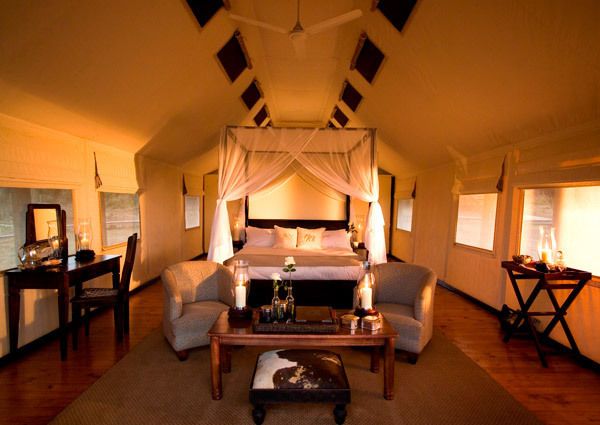 The Gorah Elephant Camp safari lodge recaptures the romantic mystique of safaris from centuries past, and merges this colonial nostalgia with modern sophistication, transporting guests to bygone eras, for an unforgettable 5 star adventure. 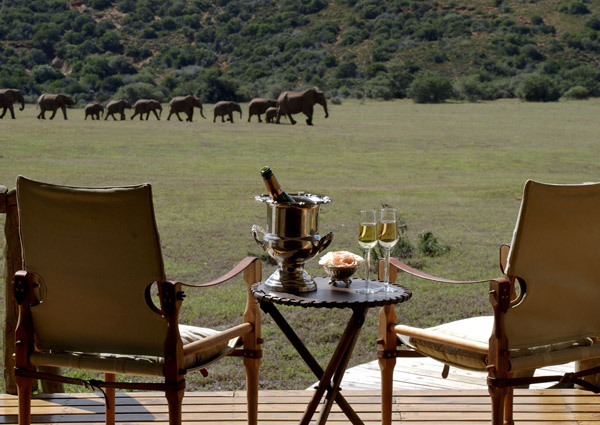 Situated in the middle of the famous Addo Elephant National Park, The Gorah Elephant Camp is home to the densest population of elephants on earth. Over 180,000 hectares of pristine African land is home to not only the Big 5, but also the Big 7, including Great White sharks and Hump back Whales, with the addition of the Marine Reserve. 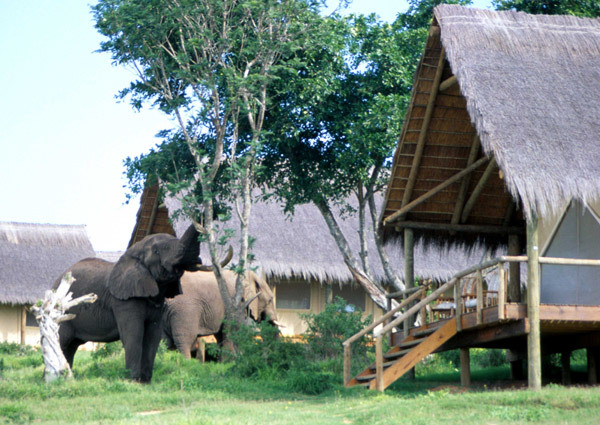 Gorah Elephant Camp, opened its doors to the public in December of 2000, making history as the very first private concession in a National Park in South Africa. Guests staying at Gorah enjoy game drives and have access to all the facilities on offer at the lodge, including spacious swimming pool with pool loungers. Eleven spacious and luxurious tented suites, sheltered under thatched canopies with private decks, recall the golden era of the early 1900s. 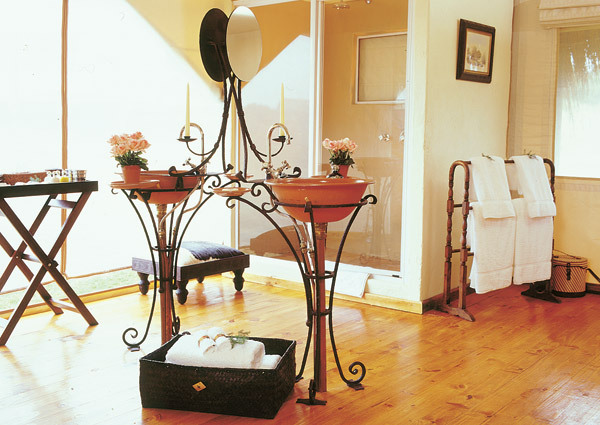 Each is enhanced with modern necessities and essential creature comforts, including a hairdryer, personal in-room safes, body products from Charlotte Rhys and complimentary sherry in the room. Guests enjoy culinary perfection with 5 star dining experiences Gorah House, with a famous high tea beginning at 4pm. Al fresco dining on the colonial veranda offers a picturesque view overlooks the watering hole and rolling plains, and teamed with the secluded Boma area, offer the ultimate dining experience under the African Sky. Gorah is committed to the conservation of the African land and its various species of wildlife and flora and fauna. Accredited by the Wilderness Foundation’s Green Leaf Initiative, Gorah and runs on solar and gas power, although a generator is run for hairdryers at any time. 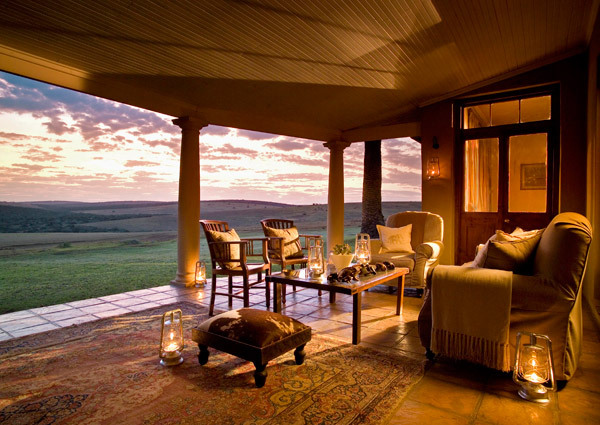 Contributing further to the preservation of the environment, Gorah Elephant Camp has actively dedicated itself to the conservation of the Addo Elephant National Park through strategic business partnerships and initiatives that aim to formally protect the area from the Garden Route to the National Park. Gorah is the current recipient of the South African National Parks Business Partner of the Year Award.